Xu Y, Liu Z, Zhao J, et al. Weibo sentiments and stock return: A time-frequency view[J]. PloS one, 2017, 12(7): e0180723. Xu Y, Liu Z, Ortiz J. The Relationship between Media Bias and Inflation Expectations in PR China[J]. Research in International Business and Finance, 2017. Xu Y, Liu Z, Jia Z, et al. Is time-variant information stickinessstate-dependent?[J]. Portuguese Economic Journal, 2017: 1-19. Xu Y, Liu Z X, Chang H L, et al. Does self-fulfilment of the inflationexpectation exist?[J]. Applied Economics, 2017, 49(11): 1098-1113. Zhang Y, Liu Z, Yu X. The Diversification Benefits of Including Carbon Assetsin Financial Portfolios [J]. Sustainability, 2017, 9(3): 437. SunO, Liu Z. Comparison of Monetary Policy Actions and Central Bank Communicationon Tackling Asset Price Bubbles—Evidence from China’s Stock Market[J]. Plosone, 2016, 11(11): e0166526. XU Y, LIU Z, ZHANG X. HETEROGENEOUS OR HOMOGENEOUS INFLATION EXPECTATIONFORMATION MODELS: A CASE STUDY OF CHINESE HOUSEHOLDS AND FINANCIALPARTICIPANTS[J]. The Singapore Economic Review, 2016: 1740030. Hao, X., Liu, Z., Hao, X., & Liu, Z. Optimal monetary policy rule undermodel uncertainty in china: analysis based on bayesian model averaging method.Future Information Engineering, 2014, 1051-1058. Jian M, Zhixin L, Lijian Z. Investor-manager Heterogeneous Beliefs, CorporateFinancing Decision and Stock Price Effect[J]. Management Review, 2012, 10: 006. Zhong M, Liu Z. Chinese listed companies financing implement selection onheterogeneous beliefs among investors[C]//Intelligent System Design andEngineering Application (ISDEA), 2012 Second International Conference on. IEEE,2012: 800-803. Zhong M, Liu Z. The futures pricing model based on optimal growth portfoliomethod[C]//Robotics and Applications (ISRA), 2012 IEEE Symposium on. IEEE,2012: 227-231. Tao H, Zhixin L, Xiaodong S. Insurance fraud identification research based onfuzzy support vector machine with dual membership[C]//Information Management,Innovation Management and Industrial Engineering (ICIII), 2012 InternationalConference on. IEEE, 2012, 3: 457-460. Wen C, Liu Z. The Impact of Technology Acquisition Mode on InnovativePerformance of Listed Companies[C]//International Conference on Information andManagement Engineering. Springer Berlin Heidelberg, 2011: 177-183. Qiang T J, Xin L Z. 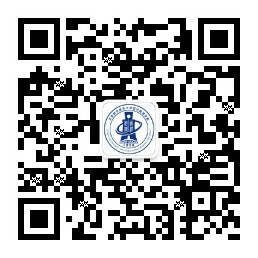 Existence of the cost channel of China's monetary transmission[C]//Computing,Control and Industrial Engineering (CCIE), 2011 IEEE 2nd InternationalConference on. IEEE, 2011, 1: 329-332. Zhijiang, Chen, Zhixin, et al. CAUSES, HAZARDS AND COUNTERMEASURES OFADMINISTRATIVE MONOPOLY PRICE[C]// The. 2010:143-165. Lin Y, Liu Z. Ownership and Diversification, An Empirical Study Based on MutualFund Enterprise[C]//Database Technology and Applications (DBTA), 2010 2ndInternational Workshop on. IEEE, 2010: 1-4. Li X, Liu Z. Word-of-Mouth Effects in the Investment of Chinese Mutual FundManagers[J]. Management Review, 2012, 16(11):1127-34. Huang L L, Liu Z X. Portfolio choice over the life-cycle for Chinese residentswith risky housing[C]//Management Science and Engineering, 2009. ICMSE 2009.International Conference on. IEEE, 2009: 956-962. Feng X, Xin L Z, Jian M. Heterogeneous Beliefs and Corporate FinancialDecision[C]//Future Information Technology and Management Engineering, 2009.FITME'09. Second International Conference on. IEEE, 2009: 301-304. Li X, Liu Z. Capture Managerial Skills from Mutual Fund Managers' Frequent Replacement[C]//FutureInformation Technology and Management Engineering, 2009. FITME'09. SecondInternational Conference on. IEEE, 2009: 576-579.